the vampire diaries. Made by: CROvalentina, Me. 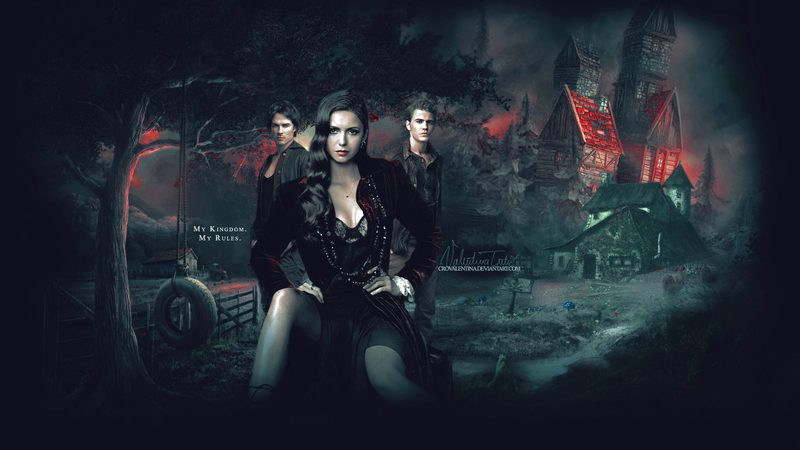 HD Wallpaper and background images in the the vampire diaries club tagged: the vampire diaries tvd elena vampire diaries stefan damon salvatore ian somerhalder nina dobrev. This the vampire diaries wallpaper contains konser, gitaris, and pemain gitar.